Scott got in touch about learning to drive in Edinburgh. He was motivated as his younger sister Rose had passed at the end of last year. Scott had finished at university and was back living in West Linton working out what he wanted to do next. Having never driven before we started from the beginning driving along some of the many back roads West Linton has to offer. Scott picked things up very quickly and was great at asking questions and learning fast from any small mistakes he made. After going out a few times around Penicuik and surrounding areas we ventured into Edinburgh and took on a whole new range of challenges like bigger roundabouts, the city bypass and rush hour traffic. Scott adapted really well to all of these new situations, always staying enthusiastic and up for whatever new challenges we could find. This was great as it was very enjoyable going out each week with Scott. 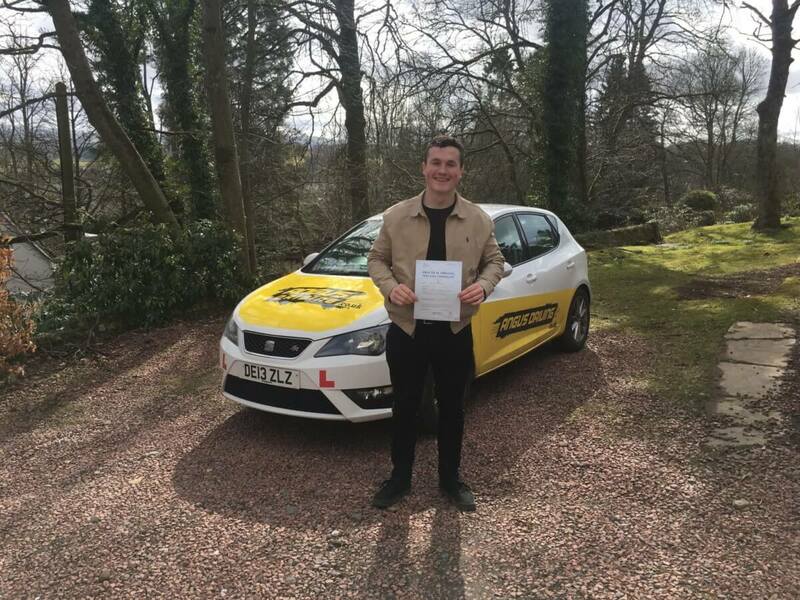 At the beginning of 2018 Scott sat and passed his theory test meaning we could line up his practical test straight away as we were ready for it. Scott found a date that suited both of us for the end of March. I had read a few days before that snow was forecast and I was really hoping it would hold of as getting rescheduled is always very disappointing. We were really lucky on the day with the weather and Scott managed to seize the moment and pass with minimal faults. Setting him up with a licence for the future. Well done.